Fabric Animal examines the self as a body-through-time, a psychological and physiological threadwork that leaves poems in its wake. Fabric Animal is the culmination of Giles’ and Grubb’s 10-year history as choreographer peers and dance partners. This embodied kinship roars to life through deep sensing, daring trust and athletic contemporary dance. The detailed choreography challenges endurance and strength, and is enveloped by an original musical score by local composers directed by Caroline Penwarden. Also featuring an original dance film with videography by John Carnahan. The creative process for Fabric Animal draws from contact improvisation, anatomical science, Grubb’s original poetry, and Giles’ otherworldly sculptures and landscape paintings made entirely from fabric. 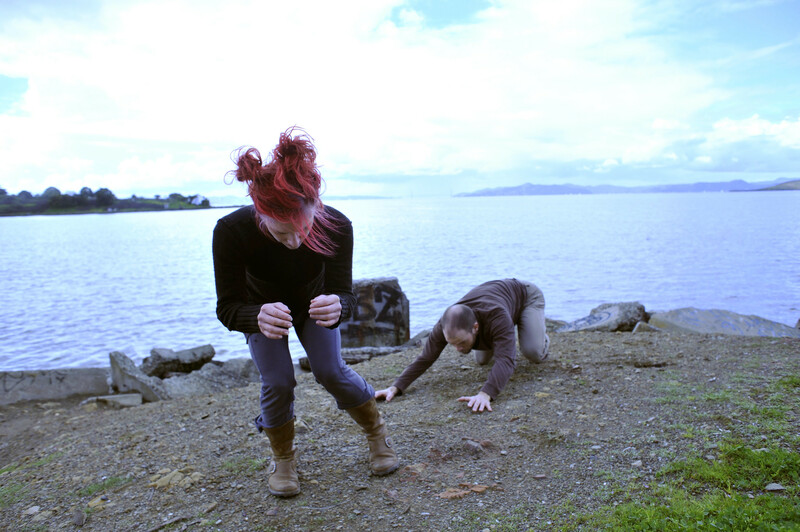 Giles and Grubb have been steeped in the Bay Area dance scene for the past 15 years, engaging in–and often helping to drive–the creative processes of numerous choreographers and collaborators. Collectively they have performed hundreds of times in San Francisco, the East Bay, up and down the West Coast, across the U.S., and abroad. Fabric Animal is a moving meditation on the artists’ past and present, a living tribute to the dynamic fusion of creativity in the Bay Area. It is a reflection of our culture, landscape, dance and music. Sonsherée Giles and Sebastian Grubb are dynamic, intelligent and inquisitive dance artists… their physical chemistry yields fierce movement, intuitive partnering and rare sensitivity.